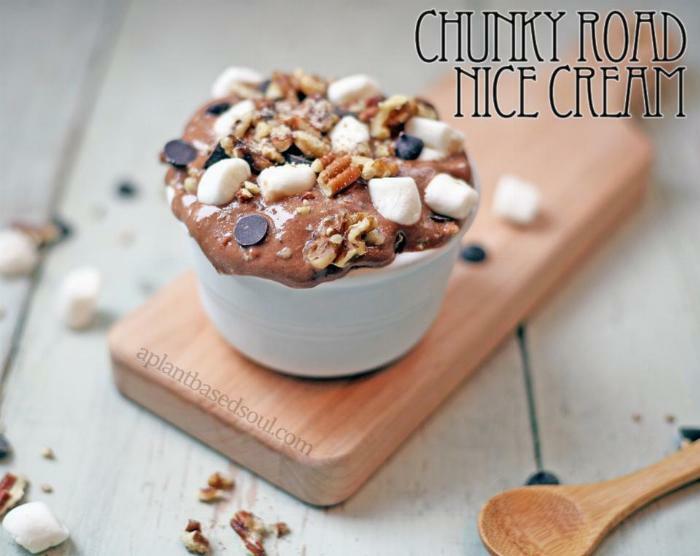 A cross between Rocky Road inspired ice cream and Chunky Monkey inspired ice cream makes for this delicious and healthy nice cream! 1In a high powered blender, add bananas, nut-milk, cocoa powder, and maple syrup. Blend until smooth and creamy. 2Remove nice cream from blender and scoop into a small bowl. Stir in toppings. 3I prefer to freeze the bowl of nice cream for 10-15 minutes so it firms up a bit more. But that is up to you!